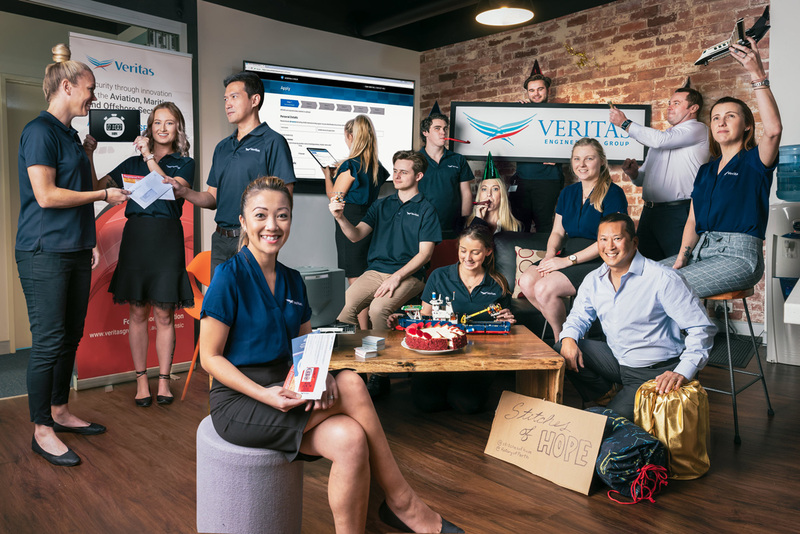 If we had to explain what we do in one sentence, we would say "Veritas Group is a multi-disciplined agency who are focussed on innovation in order to revolutionise the way people do business." Originally, Veritas started as an engineering consultancy and professional services company. Since 2004 we have grown exponentially and today, a large part of our business is designing and developing award winning digital experiences to make processes easier and quicker, saving companies time and money. One of our major lines of business is streamlining traditionally paper based systems into easy to use online applications. In 2006, we developed an online application for applying for a Maritime Security Identification Card (MSIC) in response to amendments made to the Maritime Transport and Offshore Facilities Security Act 2003 by the Australian Government. In 2014 we also launched Veritas Check, a website designed to make it even easier to apply for a National Police Check. Veritas is Australia's largest MSIC provider and leading challenger in the National Police Check market. We're committed to making life pain-free for anyone applying for background checks. With innovation at the core of our business, we love to discover, design and develop new ideas that offer innovative solutions to common business problems. One of our favourite new projects is the Display Card. The Display Card is a credit card sized card with a display screen that has the ability to alert the card holder and monitoring staff when key certifications expire. It's designed to function as an integrated identification and access, and certification status card. We possess a provisional patent for this technology and are currently working to bring it to the public. Veritas has won several awards over the years.